As the days of June roll by I can’t help but smile; the days are growing warmer, the sun shines more often than not and there’s that familiar air of optimism associated with summer time. With most Americans it’s also a time of year to look at the men in our lives and show them a little extra gratification. The perfect gift for dad is a $250 gift card to CleaningByRosie.com. 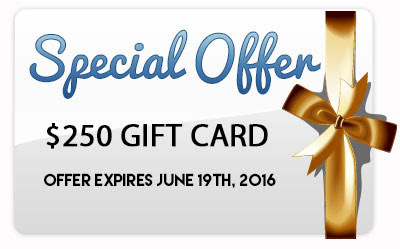 To sweeten the offer for new customers, take $50 off the price of the gift card. This means you will get $250 worth of credit for only $200. CALL 805-698-3132 to take advantage of this offer before it expires. Limit one per household. Offer expires on Sunday, June 19th at Midnight PST. 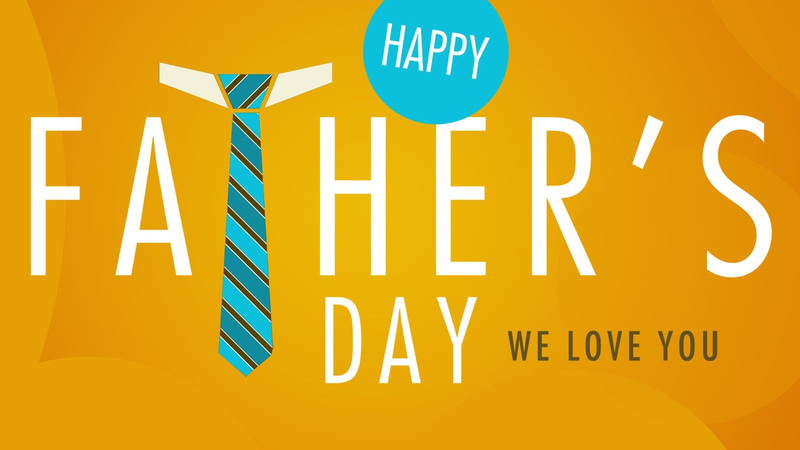 Father’s Day is also a time for celebration: with over $12 billion dollars spent every year on gifts and treats for this huge event, we know that most of you will be partying in style as you acknowledge the help, support and love of your family. If you’re planning to go out in style, you know that the task of making the house company-clean can be a daunting one. Why not engage a team of trained professionals to make the place spick-and-span before the guests arrive? Even better, we’re offering a Father’s Day Special gift certificate which will give you fantastic rate on all of our services! Often when you clean up for a party, you either leave it to the last minute and risk having the sweat beading your forehead as the first guests arrive, or you do it nice and early and give yourself plenty of time to make some more mess! With our highly trained and fast-working staff, you can schedule a thorough clean the day of the party without any of the extra stress. While you button-up your new Father’s Day shirt, our team will work tirelessly getting everything in order. We will do as much or as little as you want; all you need to do is get in touch and get one of Rosie’s teams to the house. We can go even further with our Deluxe Services, so there’s really nothing we can’t do to make your home as clean and comfortable as possible. Make use of our Father’s Day Special gift certificate and make a difference to your home, today. In Thailand, the King’s Birthday also serves as National Father’s Day. The celebration includes fireworks and acts of charity and honor: the most distinct being the donation of blood and the liberation of captive animals. After its inception in 1908, it took several decades for Father’s Day to become an accepted celebration and was not made a permanent national holiday until 1972, when President Nixon signed it in to law. Interestingly, studies have shown that female shoppers spend approximately 50 percent more than men while buying gifts for their dad – do you think that’s true in your family? Even in the age of instant television and global gaming, it has been found that around 70% of children under 6 years old still eat dinner with their fathers every day. Spending on Father’s Day reached about $12.7 billion in 2015, with the average person spending about $115.57 on presents. That’s about $2 more than the previous year’s average. Q: I’m quite particular about what I let other people move/clean in the house – will this affect my ability to hire you? A: We completely respect your right to privacy and your own routines and are happy to work with you to create a completely custom service where we’ll follow your explicit instructions and you can be as particular as you like. Just make sure to let us know in advance so we can plan accordingly. Q: Do you run any regular promotions? A: We do indeed! If you visit our website, you can sign up with your email address and we will send you special offers and discounts regularly. There’s no fee or obligation to take part; just wait for the right offer for you. Father’s Day Family Campout: this is a spectacular event which is suitable for the whole family this June. You get to spend the weekend exploring the outdoors with camping, hiking and eating over a real, wild campfire. Register online. Love, Seduction and an Armenian Grandmother: if you’re looking for an adventure with fewer insects and long walks, this hilarious stage show might be just the ticket. Expressed through various forms of dance, you’ll be taken on an adventure you’re not likely to forget any time soon! Visit the website for more details. Sammy’s wine tours is a great idea for spending quality time with dad this weekend. Santa Barbara and Santa Ynez are home to some of the best wineries in California. Blush Restaurant + Lounge Downtown: This year why not try something different and have a relaxing and cozy dinner around the fire pits Blush? Blush is a restaurant and lounge that will be open on until 10:00 p.m. on Sunday. Max’s Restaurant: Treat dear old dad to the best breakfast in town! For over 30 years, Max’s Restaurant, located at 3514 State Street, Santa Barbara, in the Upper State St. area, has earned a reputation for the best breakfast in town. Call 805-698-3132 now or visit www.cleaningbyrosie.com for a quick cleaning quote. p.s. If you recently had one of your home appliances stop working, give our trusted appliance repair partner Burt Yost a call. 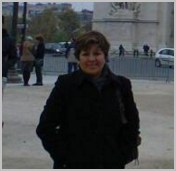 About Rosie’s Cleaning Service: Rosie’s Cleaning Service has been the Santa Barbara cleaning experts since 1990. Services include residential cleaning, commercial cleaning, after party cleaning, post-construction clean-up service, and vacation rental clean-up service. 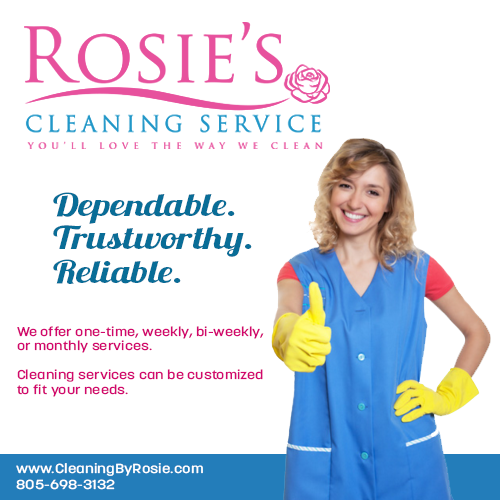 Visit the website at www.cleaningbyrosie.com to download a complimentary copy of the PDF, “The Top 10 Reasons Customers Choose Rosie’s Cleaning.” “Like” the Facebook page to receive Santa Barbara cleaning tips. Call 805-698-3132 for a quick quote on Santa Barbara maid service.